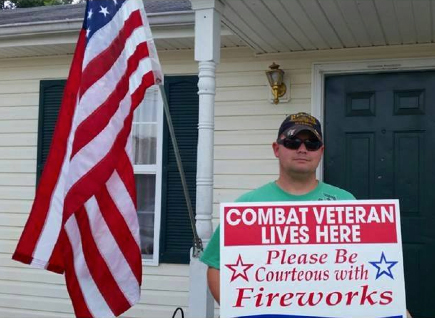 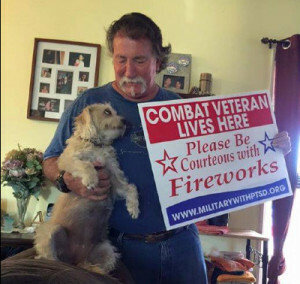 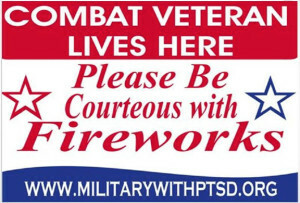 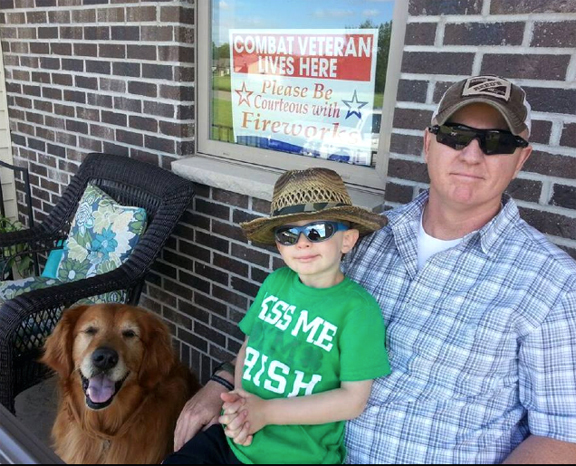 Please be considerate and remember our combat veterans this year, and every year, before you light those fireworks in your yard or in any family neighborhoods. 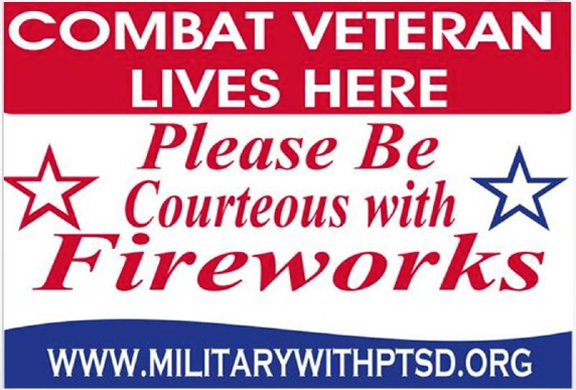 The very holiday that celebrates the freedom soldiers fought for can also bring much stress to veterans if afflicted with Post-Traumatic Stress Disorder (PTSD). 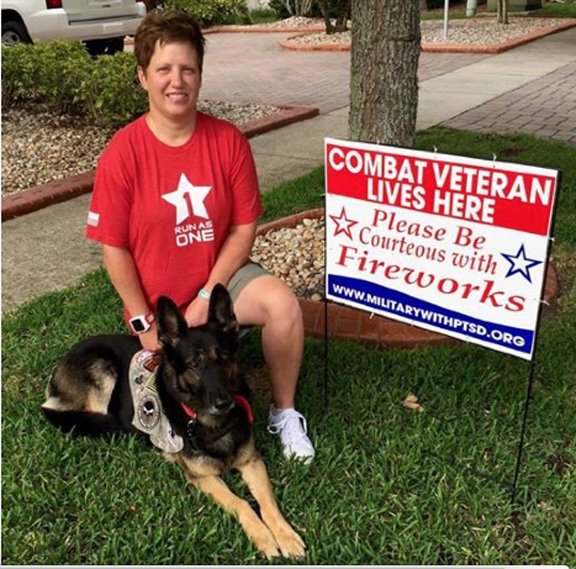 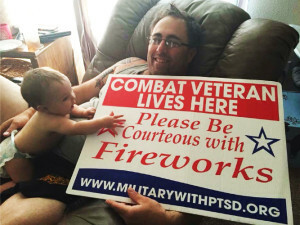 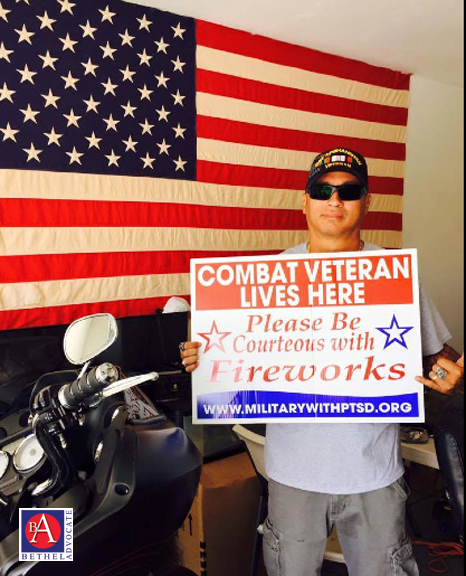 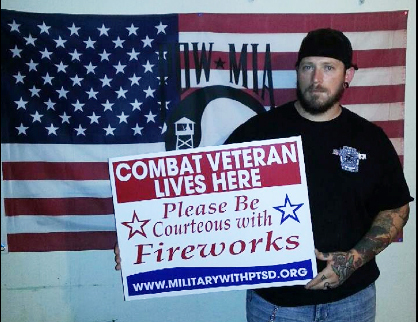 Combat veterans with PTSD are more sensitive to the sounds of fireworks. There is a campaign for awareness that produced a yard sign to make residents aware of this struggle before they set off fireworks. 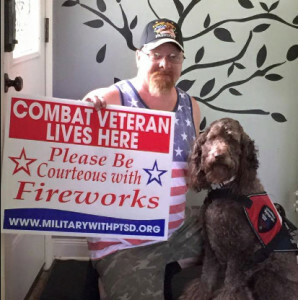 An estimated 7% to 20% of the more than 2.5 million veterans and troops who have served in Iraq and Afghanistan are believed to have developed PTSD. According to the Department of Veterans Affairs, loud blasts and flashing lights can sometimes induce panic attacks. 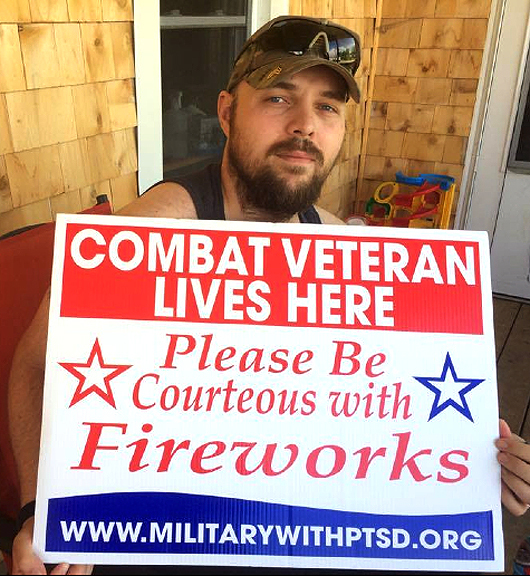 PTSD is characterized by emotionally re-experiencing traumatic events. 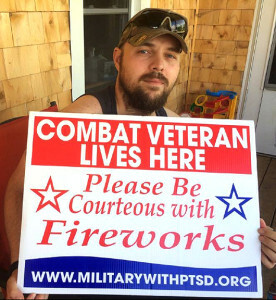 The thoughts are triggered for combat veterans by the sound of an explosion or gunfire, or even certain sights and smells, according to the Institute of Medicine. 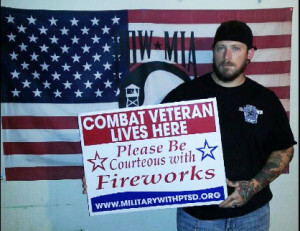 Your donation matters. Even the smallest donation helps support the work we do with veterans and their families every day. Thank you from the MWPTSD family! 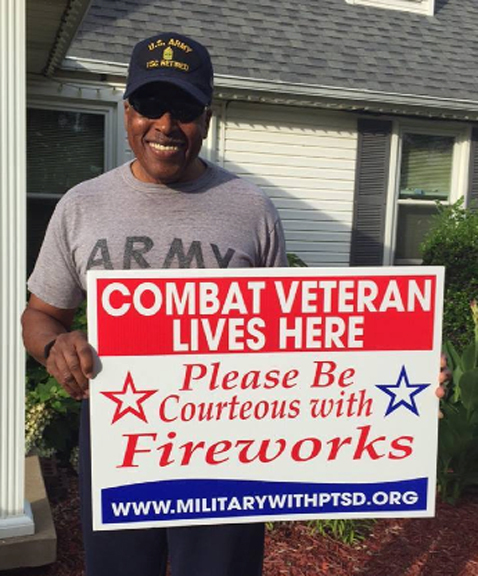 You can still donate now for next year’s signs.